⚓ T57957 Theme bug in 2.8 documentation site. 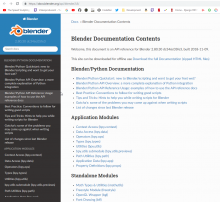 Theme bug in 2.8 documentation site. 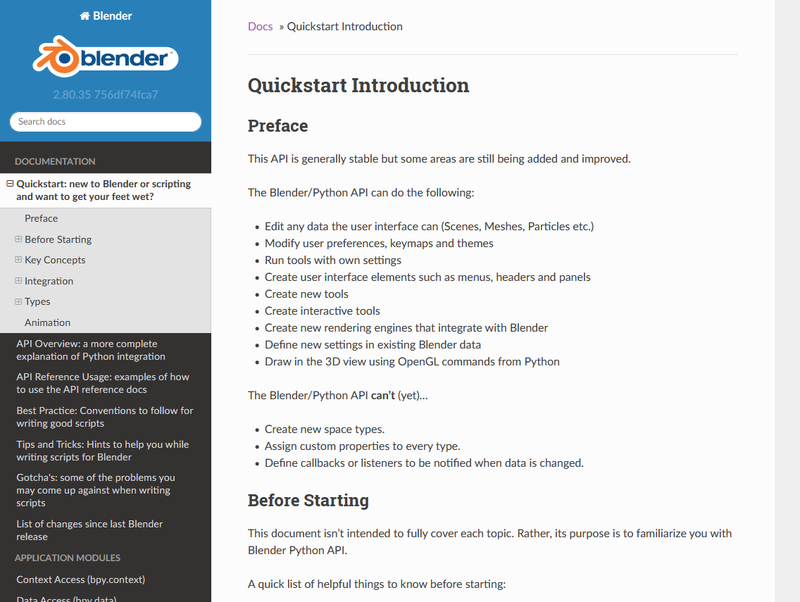 I've got a link to the new 2.8 documentation, and I've seem a weird bug of missing text. Seems like a theme problem. 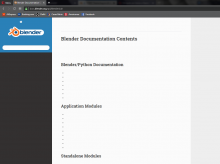 T57978: Blender api docs text bug. Christian Lutz (LosBopfos) claimed this task. Christian Lutz (LosBopfos) added a subscriber: Christian Lutz (LosBopfos). I still see the bug, either in chrome or firefox. maybe because I am using windows 7. @Christian Lutz (LosBopfos), please leave triaging reports like this to developers. 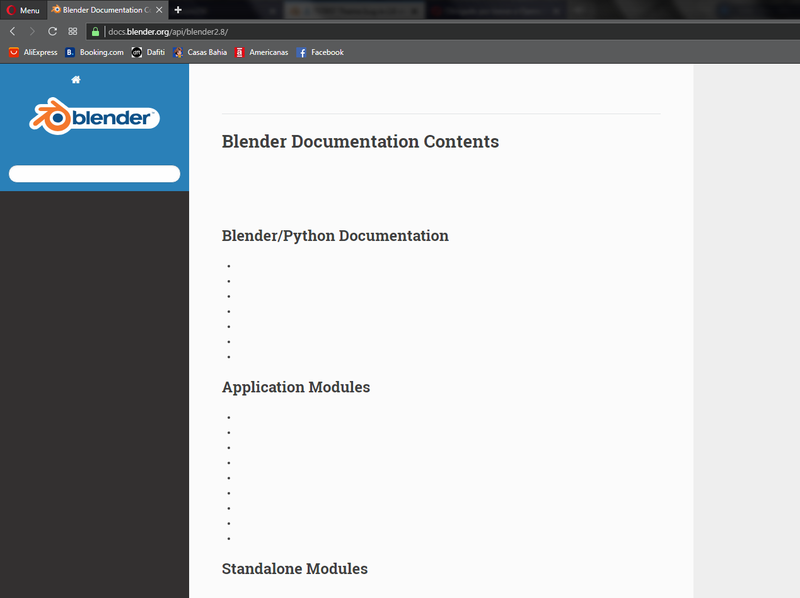 Does https://docs.blender.org/manual/en/latest/ have the same problem? @Brecht Van Lommel (brecht) No, this page is fine. and I am not using any vpn or network protection, no adblocker enabled also. 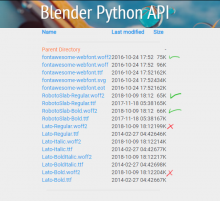 The second GET-request to https://docs.blender.org/api/blender2.8/ in your .har-file returns all the data in the html. Perhaps this is a rendering bug in your browser? I tried with both Firefox and chrome, and the bug happens exactly the same, since I disabled hardware acceleration on chrome and it happens exactly like in Firefox which have acceleration enabled, I guess it's not a hardware specific problem neither software specific. Oh, I guess I figured out. Roboslab and Fontawesome fonst are working fine. That is a bit strange. If your browser wouldn't support, it should load the *.ttf as declared in the font-face definition. 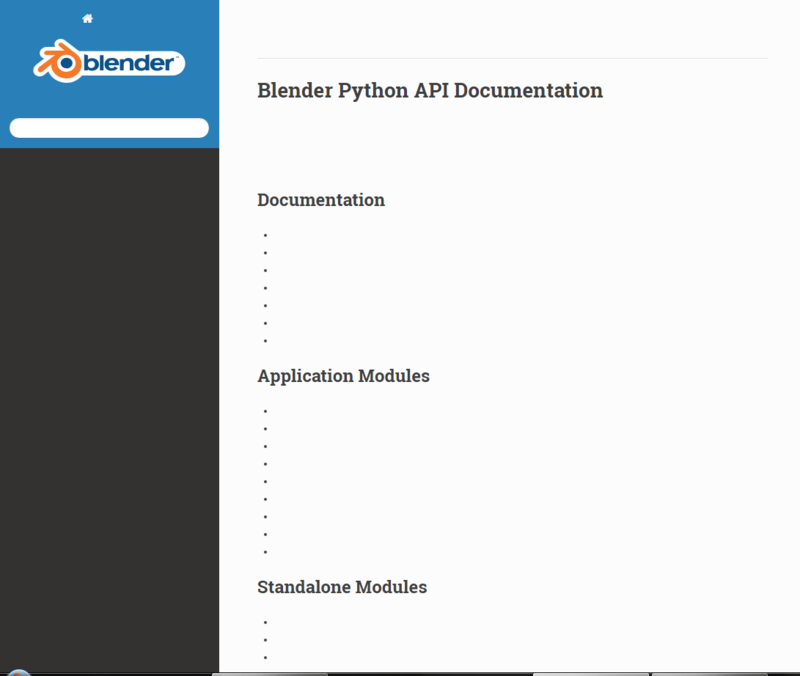 Could you try to load this page and see if it renders properly (and if it loads the .woff2 files or another format)? 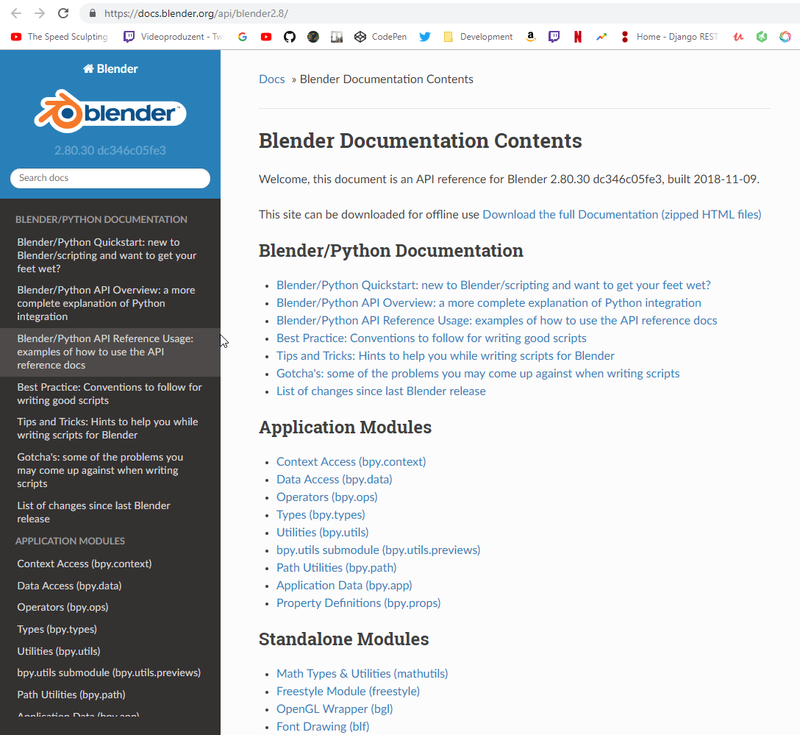 The Blender manual and 2.8 API docs are not being built on the same machine, probably using a different sphinx version or font file version. Either Windows 7 (32bit?) or the font file has a bug. I guess it could be worked around by using a different font. 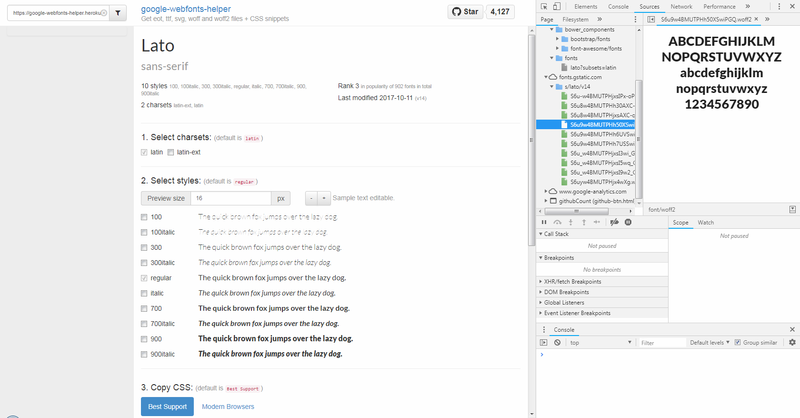 The sphinx build shouldn't be a problem, everything down to the font-face definition in the css is correct. I think it's either a weird bug on @Jean Da Costa (jeacom256)'s system or the font file has some obscure error. The easiest way is to replace the Lato .woff2 files with a current version. That definitively won't break anything and possible fixes the problem, since the current version of Lato seems to render just fine. Apparently there was an error with the extended latin characters in the Lato font in case your sphinx_rtd_theme still uses the pre August 2014 version. I've just downloaded new font files and replaced on a downloaded copy of the manual and this seems to fix the problem. Hope someone do the same the the official docs.. The api docs are being compiled with a older version probably 0.3.x the official version that we have now is 0.4.x which included fixes to the font stack. Who ever is in charge of this build system needs to make sure that they use the versions that are defined in the requirements.txt file. Brecht Van Lommel (brecht) reassigned this task from Christian Lutz (LosBopfos) to Bastien Montagne (mont29). Brecht Van Lommel (brecht) added a subscriber: Bastien Montagne (mont29). @Bastien Montagne (mont29), since you are uploading these, can you try to upgrade to the latest sphinx version that fixes this problem? Am using debian testing packages, which seems to be 0.4.2 for the shpinx-rtd-theme one. I think issue is rather within the API doc directory itself, we store our 'own' theme there, think it's just a matter of updating font file there and rebuilding… will try quickly now, otherwise that will have to wait for Sunday. @Bastien Montagne (mont29) replacing the fonts in .\site-packages\sphinx_rtd_theme\static\fonts would then be the easiest way. Sphinx only copies those files anyway, so as long as the replacement files have the same name everything will work just fine. 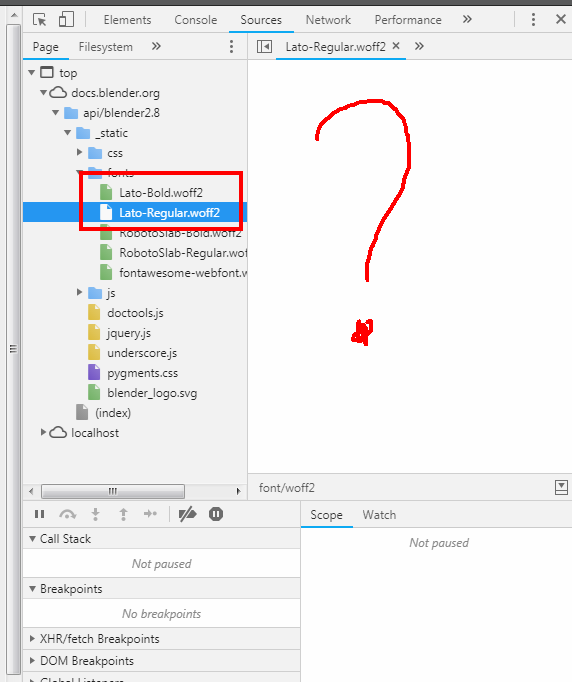 @Robert Guetzkow (rjg) not sure about that, again current font files are recent ones (0.4.2 version, from this October or so)… So issue pointed out by @Aaron Carlisle (Blendify) is not the one at play here I think. debian's fonts-lato is indeed from before 08/2014, they probably did not repackage since then, so I guess those could be faulty. Will overwrite my system's Lato fonts and regenerate the API doc then. Done, please report if this fixes your issue. .woff2 files are latest ones. only .ttf ones were old. Weird, it's still not working. I believe the .woff2 files are supposed to be generated from the .ttf files, so they should have a modified date that is the same or newer than the .ttf files. 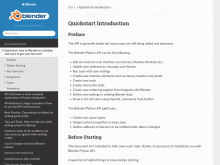 I wish I could start learning the api soon. 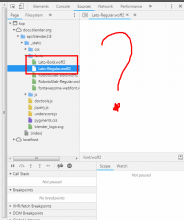 Can someone share a download link for the zipped docs so I can try to fix locally? 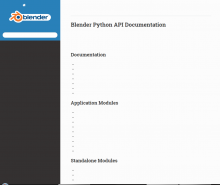 @Aaron Carlisle (Blendify) I have Debian testing version, stamped 0.4.2, which should be more than recent enough! And the problem is not there anyway, am told it’s font issue, this is not controlled by that sphinx theme. And no, I don’t want to meddle with pip if I can avoid it, distro package manager shall be the only one needed here. 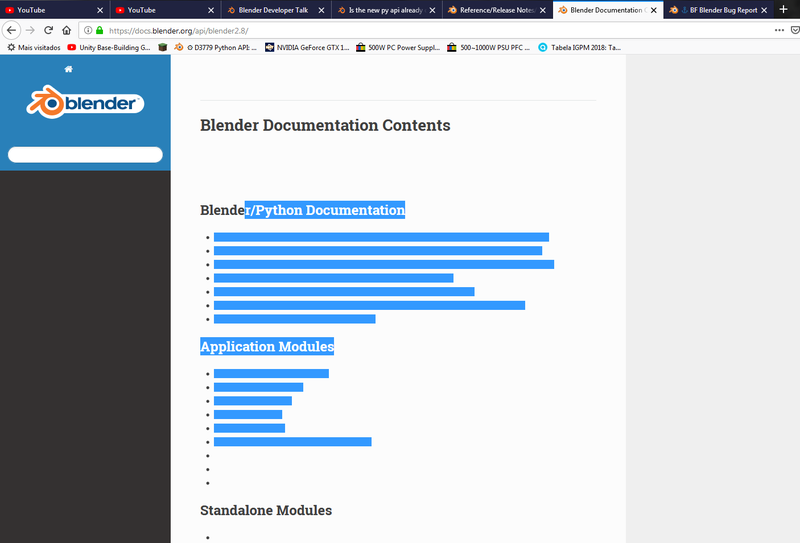 Since when do we need bleeding edge tools to build the docs???? @Bastien Montagne (mont29) thanks for taking care of this. I would suggest using a venv for building the docs though, that makes it far easier to have the same versions as the main docs and perform upgrades as needed. No bleeding edge is certainly not required, but system packages may not be equal to the ones in available as pip package. 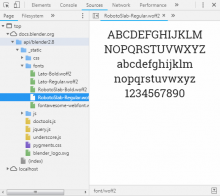 We don't need bleeding edge tools, however, in this case we (speaking with a Read the Docs contributor hat) recently updated the packaging of font assets and our font stack. 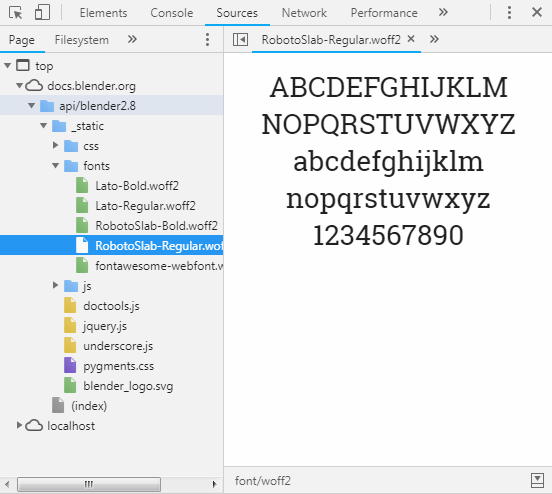 So if we are having an issue with font rendering thats the first step to try to fix it, simply using the latest version. Now the manual is working to me now, thankyou guys! 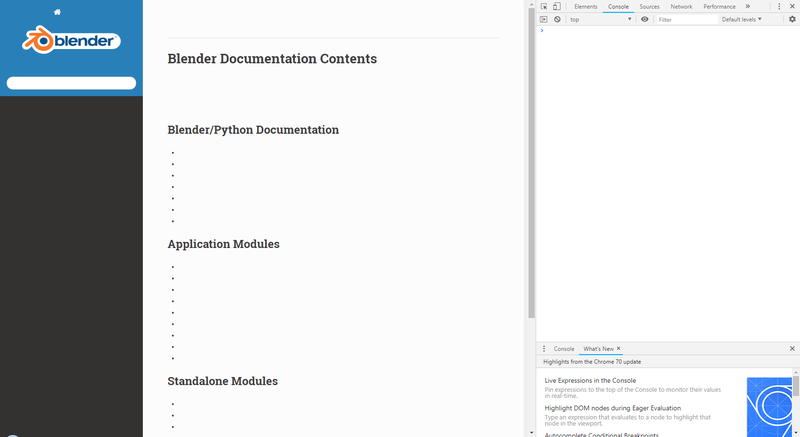 Currently I have to download the docs and replace the font files locally in order to read it properly.